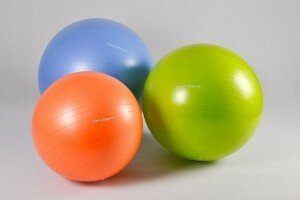 Sanctband Gym Ball is developed according to German safety standards and has obtained the TUV GS Certification. Its burst resistance feature ensures safe usage, in the event that the ball is punctured by accident. 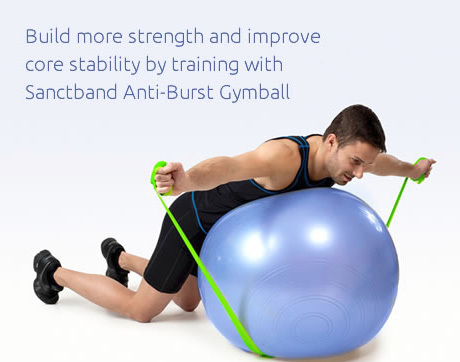 Sanctband Burst Resistance Gym Ball is suitable for physical therapy, fitness training and posture adjustment sitting. It is effective in training core muscle groups, improving stability and muscle tones. 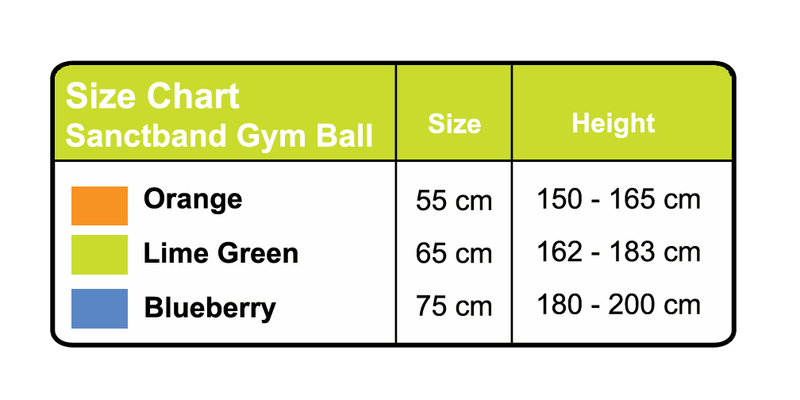 Sanctband Burst Resistance Gym Ball comes in 3 sizes, catering to different users’ height and requirements. To boost fun-filled sentiments onto resistance training, it comes in a range of vibrant colours to differentiate its size. Sanctband Gym Ball comes deflated and can be inflated easily using a normal air pump. 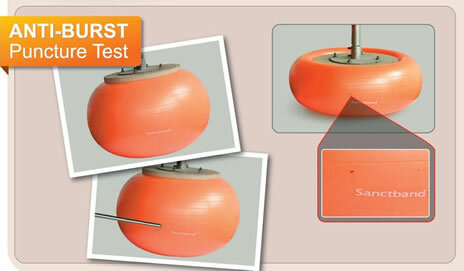 To test burst resistance, the gym ball is punctured with a 3mm nail while under an 80 kg load. It is seen that the ball did not burst, but only deflated slowly.